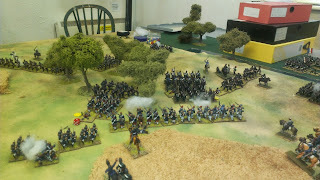 Last week we left the French grimly hanging on in the face of Prussian assaults on both of their flanks. The Turcos in the wood on the left were stopping the Prussians (and Badeners) in their tracks, supported by long range rifle, artillery and mitrailleuse fire through the gap in the woods. 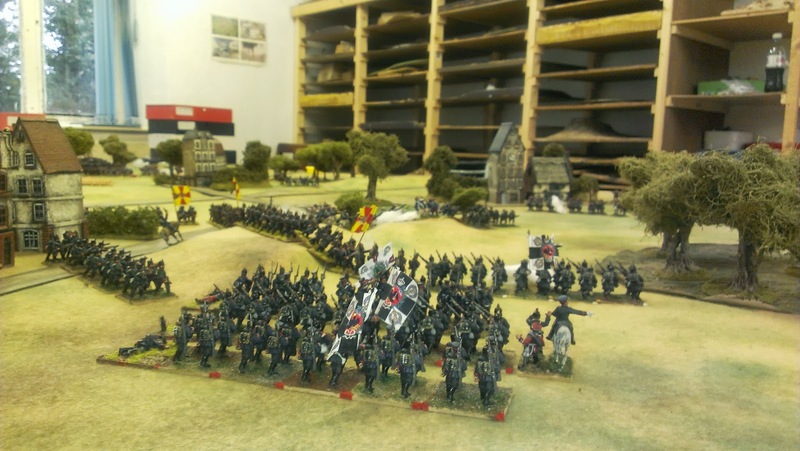 On the right the French were also holding on although the Prussians were able to move their infantry out onto the flank and did manage to destroy three French regiments. 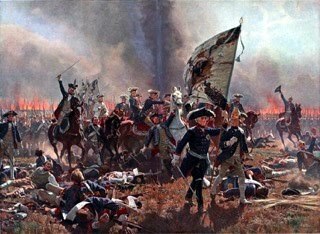 Sadly, their supports were Bavarians and Saxons who were far less effective and the advantage could not be pressed home. 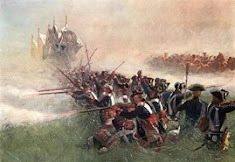 The battle was decided on the French left as the Baden brigade was unable to dislodge the Turcos and was soon stopped in disorder. 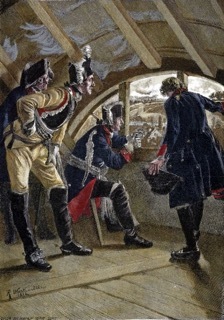 One then another and then a third regiment became shaken and failed their break tests. 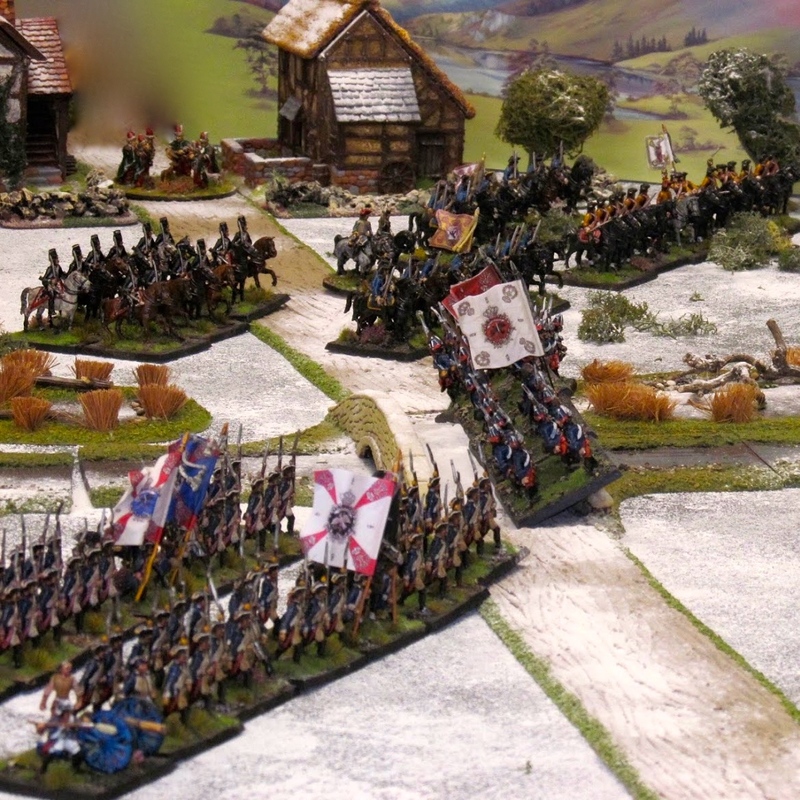 The supporting Prussian brigade had already been bloodied last week and was in no position to replace their Baden comrades in the firing line. 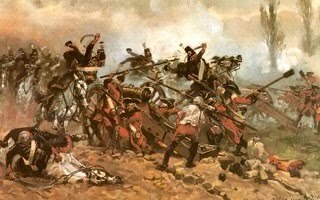 It would have been suicidal unless the reserve artillery was able to do some damage. 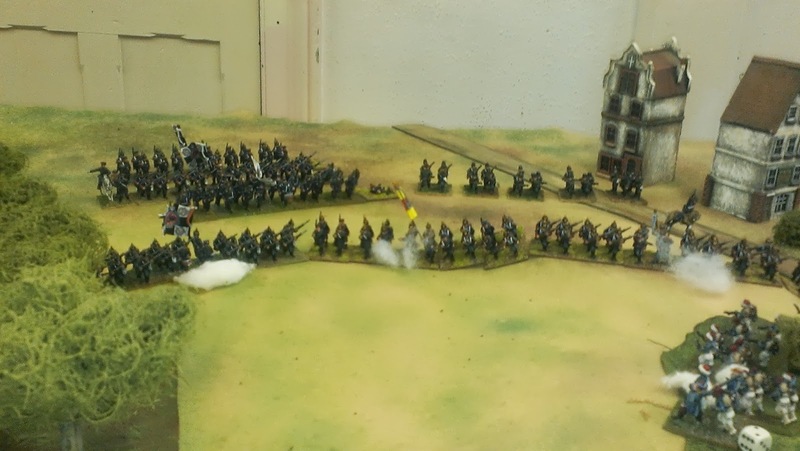 They were deployed right on the table edge and were taking ling range fire from a Mitrailleuse but did manage to destroy one exposed French regiment in a single concentrated round of firing. A very quick conclusion to the game, as we were all done by half 8. The rules do work quite well for the period although the battles are incredibly bloody. 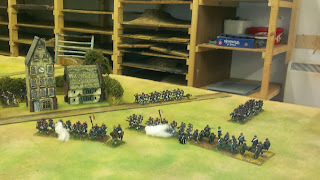 Next week we are having another go, but with more Prussian artillery. Splendid action shots! Always a joy to see a great looking game! 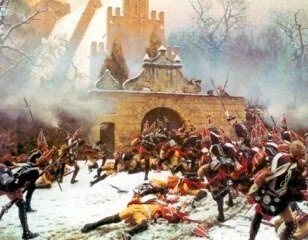 A fine and interesting action - and perhaps an example of what the French Imperial Army might have achieved with better leadership. I was thinking about your comment in re the 'incredibly bloody' battles. It seemed to me (without inquiring into numbers) that even if one regards the table-top battle losses as unrealistically heavy, the psychological effects upon the table-top battle commander(s) might well be very real indeed. I've seen the effect of battle losses on several war gamers: how it affects their determination, their willingness to attack or defend in the face of likely costs (benefits scarcely making into the equation at all), the surprising tendency among some to bring an early end to the action and withdraw from the field, even admitting their discomfort at incurring actual losses. Interesting thought. Bloody probably a poor choice of wird's from me. 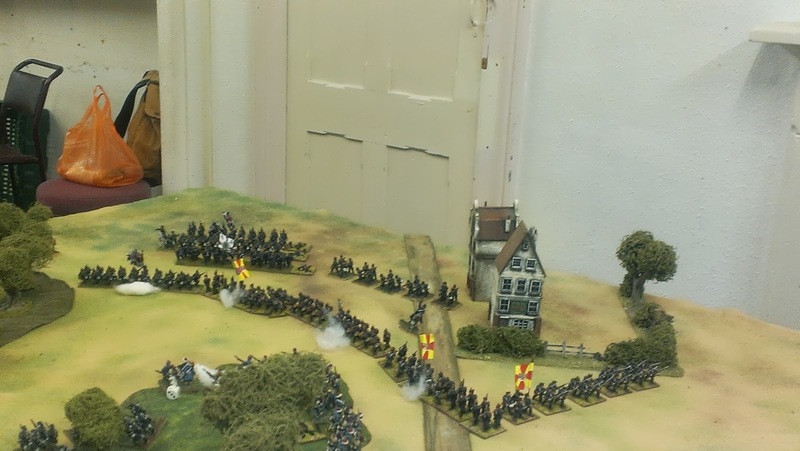 As it happens we were using Black Powder which dont have casualty removal but do seem to produce some believably historical outcomes with shaken and spent forces unable to press Home their attacks.